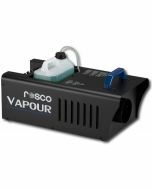 Designed to fill large venues and outdoor spaces, the Vapour Plus produces impressive amounts of fog quickly and efficiently. 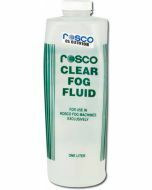 The sophisticated software driving the Vapour Plus precisely balances the heating and pump cycles to insure you have huge fog when you need it. 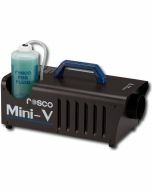 This fogger produces stadium-sized effects, yet is small enough to mount inside box truss and power from a single mains circuit. A rotating bottle carriage allows the Vapour Plus to be placed in either the traditional horizontal position or in a vertical orientation. This feature allows the machine to produce cryogenic-type burst effects without the hassle of handling/storing large tanks of C02. 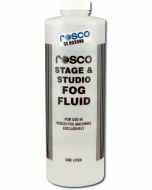 19.7" x 10.9" x 9.8"
Or as one LD found out, just use fog instead! 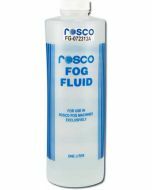 Detailed testing results for Rosco Vapour series machines using Rosco brand fluid. Provides tables for time-and-distance guidelines based on the original Actor's Equity report on Theatrical Smoke/Haze (2000).